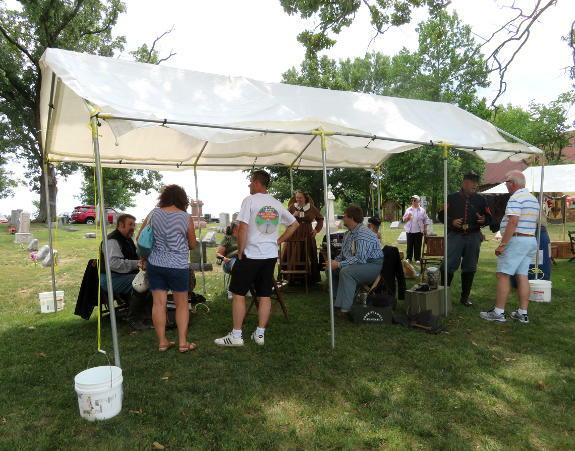 Luebbering, MO: Living History at St. Francis of Assisi Church Picnic « The Turner Brigade--Missouri Volunteers, U.S.
Members of Company M and Company C participated in a living history at the church picnic of St. Francis of Assisi Church in Luebbering, MO, on Sunday, July 22, 2018. Members of Company M talk with spectators at the St. Francis of Assisi Church picnic in Luebbering, MO, July 22, 2018. Capt. 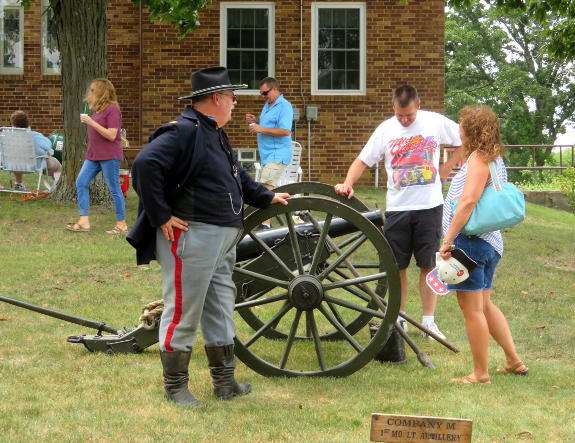 Steve Allen talks with spectators about the Filley gun at the St. Francis of Assisi Church picnic in Luebbering, MO, July 22, 2018. 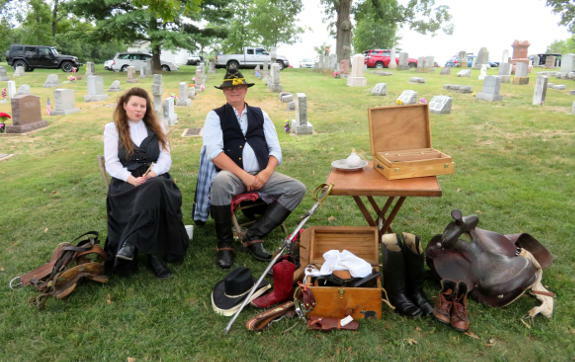 Myra and Jim Flint-Smith of Co. C displayed medical and cavalry items at the St. Francis of Assisi Church picnic in Luebbering, MO, July 22, 2018.